At the time of registration, disclaimer is required to be signed by all participants. In case of minors, parents / guardians need to sign on their behalf. Most events will be run simultaneously and one can participate in them one after the other. Carry your ID card and online registration slip. Wear comfortable clothing. Avoid flowing clothes like sarees, lungis etc. This being a wilderness area you are better off in full pants and full sleeves. Hats and caps are available on sale. Carry water to keep yourself hydrated. Refreshments are available on sale. Free water refills provided. 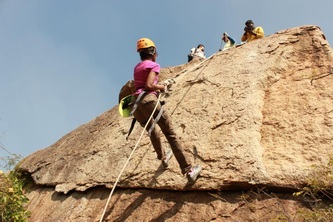 Participants with long hair are advised to tie it up before rappelling and zip lining. No loose items like phones, keys etc. should be kept in pockets during rappelling and zip lining. 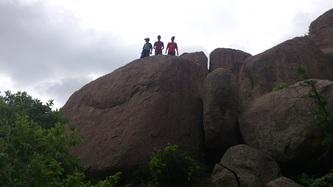 The Great Hyderabad Adventure Club and the Society to Save Rocks are conducting the Third “Hyderabad Rockathon 2014” to highlight the preservation of our stunning Deccan rockscapes for adventure sports, recreation and environmental protection on the Sunday, 14 December 2014 at the rocks near to Tramati from 7:30 AM to 4:00 PM. 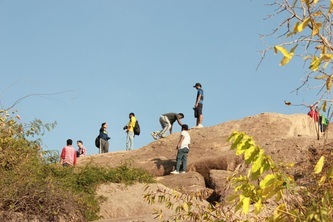 Score of exciting adventure activities are planned from morning to afternoon. You can participate in multiple activity one after the other. Bring your Friends, Family and Children Along. Who can attend: All Ages including children above 6 Years. 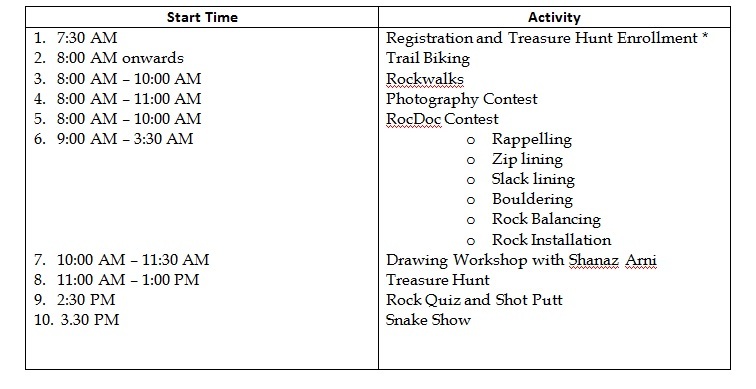 The following exciting activities are planned from morning to afternoon. * At the time of registration, disclaimer is required to be signed by all participants. In case of minors, parents / guardians need to sign on their behalf. Most events will be run simultaneously and one can participate in them one after the other. 1) Wear light color Sports Track or comfortable clothes with sports shoes. Most events will be run parallel and you can participate in them one after the other. We will have multiple setups so more members can do the activity in parallel. Includes Entry Fee, All activities on first come first serve basis. 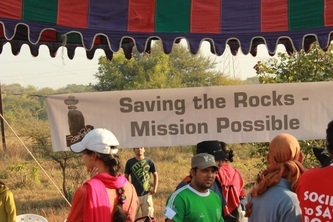 Please visit www.hyderabadrockathon.com for more information.